Pointfuse’s unique and innovative 3D meshing solution means it is now possible to perform detailed clash detection analysis comparing design information with real world scanned data. This proactive approach helps identify issues before starting construction, preventing unnecessary delays and helping to deliver projects on time and on budget. Clash detection analysis has become a standard step in many BIM workflows. By combining design data from all parties, such as the structural model with the MEP model, potential design clashes can be identified and rectified before a contractor arrives onsite, preventing costly hold-ups. It is estimated that each clash can cost $17,000 to resolve once construction has begun, a cost which can quickly multiply into millions on big budget schemes. With large potential savings, it makes sense to extend this analysis to include as-built models. Pointfuse, a point cloud to mesh conversion software, makes this possible by automatically segmenting mesh models into separable surfaces, creating intelligent, 3D mesh models. Features and objects are then easily identified by their geometry and textures, allowing them to be selected, classified and exported into common formats like IFC and FBX. Performing this directly in Pointfuse means only those features that are required for the clash detection analysis are exported. Eliminating problematic noise and redundancy has the dual benefit of minimising the number of falsely flagged clashes, while reducing the working file size still further. Once exported, Pointfuse meshes behave in a similar way to the design data they are being combined with. Clash detection analysis can therefore be performed in exactly the same way, in the same software packages, such as Autodesk Navisworks. Where a designed wall clashes with an existing one, for example, the two conflicting surfaces will be highlighted, making it easy to identify and group clashes, speeding up the whole redesign process. Pointfuse’s new release allows users to upload models directly to BIM 360, Autodesk’s next generation project delivery and construction management platform. From there, as-built models can be compared, construction progress monitored, with models available to be opened with ease in a variety of desktop software packages, directly from the cloud. This creates an environment built for complete collaboration, with users able to view over 50 different file formats, quickly share 2D and 3D models and review designs in real time on any mobile device. This makes BIM available at anytime, anywhere and to anyone, helping better decisions to be made and eliminating costly delays, by ensuring all parties are up-to-date and involved at every stage. Skanska LSE have successfully implemented Pointfuse into a project workflow, having identified its potential to make savings. The project, located on Fenchurch Street, to the east of the City of London, comprises the design and construction of a 15 storey building, containing office and retail space. 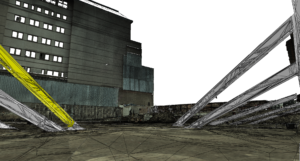 Working to a tight deadline, Skanska commissioned SES Ltd to perform a laser scan of the site following demolition of the previous structure, which they delivered as a point cloud in Autodesk Recap format. To perform a quick clash detection in some key areas, the raw point cloud was taken into Autodesk Revit, which proved to be a slow and difficult task, not a suitable solution to scale up to the whole project. Instead, Skanska LSE decided to process the data in Pointfuse. Once complete, the working data was reduced from a 12GB point cloud, down to just a 70MB intelligent mesh model. It was then easy to open the model in Autodesk Navisworks to quickly perform a thorough clash detection analysis, saving time and money.